Srinagar, Apr 16, : Days after the Srinagar Central Jail incident, family members of the inmates staged a protest on Tuesday saying Central Jail Srinagar is unsafe for those lodged there. The protesters were carrying placards seeking safety of inmates. They alleged that authorities are mulling to shift dozens of inmates to outside Kashmir jails. They said the shifting of inmates to outside jails is total violation of court verdict. “We demand the safety and security of inmates lodged in Central Jail Srinagar. Those police personnel should be punished who attacked prisoners in the jail,” they said. 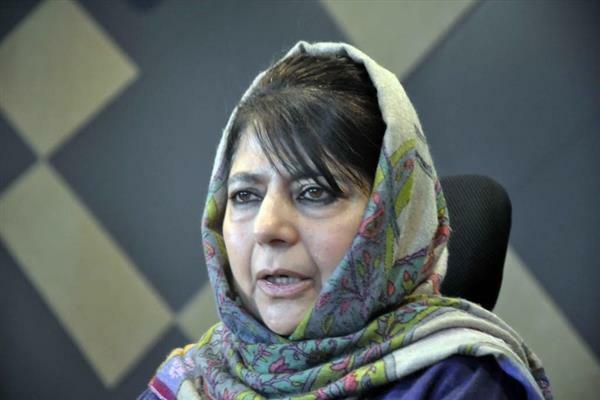 Reacting over the protest staged by these inmates, Peoples Democratic Party (PDP) president and parliamentary candidate for Anantnag constituency Mehbooba Mufti said that government of India wants to turn Kashmir into an open-air prison and convert the jails into Guantanamo.